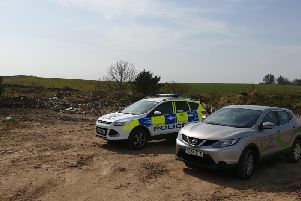 Police Scotland and the Aberdeen Western Peripheral Route/Balmedie-Tipperty (AWPR/B-T) contractor are appealing to motorists to follow the guidelines on traffic restrictions. A number of roads across the region currently have temporary traffic restrictions in place including speed restrictions. Police Scotland Road Policing Officers recently carried out several speed checks along the route following a number of complaints from the public and workers on the sites. Malcolm Findlay, General Manager of Aberdeen Roads Limited, said: “Our top priority is the safety of our operatives and sub-contractors who spend each day working on the construction of the new AWPR/B-T and existing road network, making it a safer place for road users.